A new toolkit has been developed by Vanderbilt Kennedy Center which may improve sleep for children and teens with autism spectrum disorders. This new toolkit, titled "Sleep Strategies for Children with Autism: A Parent's Guide," offers strategies to help families whose children affected by autism have difficulty falling asleep and staying asleep through the night. 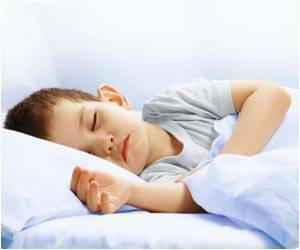 Beth Malow, M.D., M.S., Burry Chair in Cognitive Childhood Development and co-developer of the sleep guide, says that sleep is a common struggle for many children with autism. This new sleep guide can help families select ideas that have the best potential to work well with their lifestyle. Developers of the guide say that with consistent routines and persistent effort, families often see changes in their child's sleep patterns over several weeks. "My colleagues and I are excited about having the opportunity to develop this parent toolkit for sleep and are appreciative to Autism Speaks for disseminating it to families in need of this information," Malow said. "Sleep problems in children with autism can be overwhelming for families, and we hope that this information makes a difference in their day-to-day lives." A professor of Neurology and Pediatrics and Vanderbilt Kennedy Center Investigator, Malow is an expert on the interface of sleep and neurological disorders and directs the Vanderbilt Sleep Division. She developed the sleep strategies guide with colleague Kim Frank, M.Ed., educational consultant for the Treatment and Research Institute for Autism Spectrum Disorders(TRIAD) at the Vanderbilt Kennedy Center and experts from the Autism Speaks Autism Treatment Network (ATN) and the Autism Intervention Research Network on Physical Health (AIR-P). The Vanderbilt Kennedy Center has developed other toolkits with Autism Speaks, including "Taking the Work Out of Blood Work" and "Visual Supports and Autism Spectrum Disorder." These and other resources are available on the Autism Speaks website.